1 Mix the flour with the almonds and sugar, add to a bowl, make a well in the center and add in the egg. Sprinkle small pieces of butter around the flour and mix the ingredients together with a knife until crumbly. Quickly knead into a smooth dough with hands, shape the dough into a ball, cover in plastic wrap, and place in the refrigerator. 2 Roll out the dough on a floured surface into 3 mm thick disc. 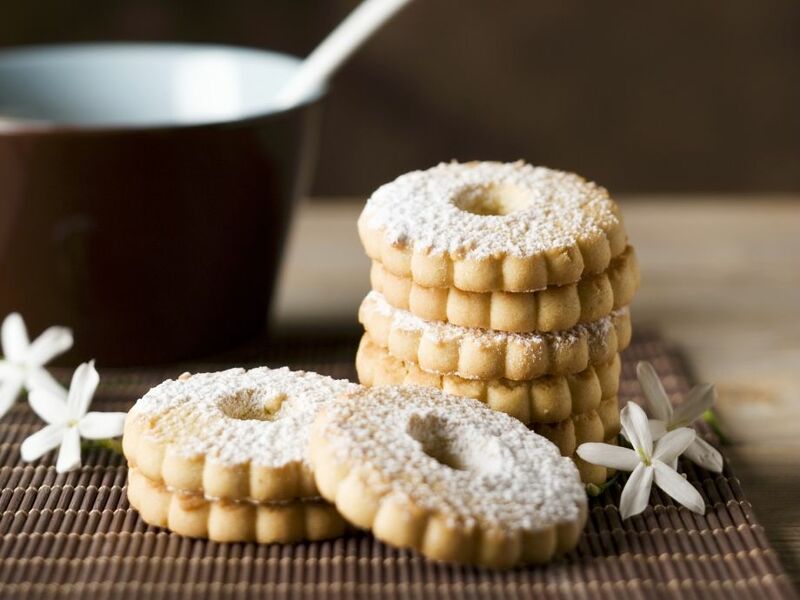 Cut out the cookies from the rolled dough using a Welser Ringel (diameter 3 cm) (diameter apprpximately 1 inch). Place the cookies on a baking tray lined with baking paper and bake in a preheated oven at 180°C (fan: 160°C, gas mark 2-3) (approximately 350°F) for about 10 minutes. Remove the cookies from the oven, allow to cool briefly and serve dusted with powdered sugar.